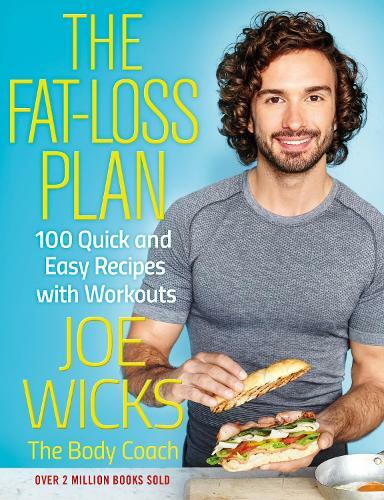 Joe Wicks is back with another instalment of 100 brand-new delicious recipes and speedy, effective workouts. The Fat-Loss Plan shows how to adopt a lean lifestyle in a way that suits you. Inside the book is a combination of reduced carb, post workout and snacks and sweet treat recipes - all incredibly tasty and easy to make in 15 minutes flat. Thanks to sample weekly plans and ingredients lists, Joe makes it simple for you to prep like a boss and eat well every day of the week. Joe has more than 4 million followers on social media where fans share their personal journeys towards a leaner, fitter lifestyle. The Lean in 15 titles won platinum and gold awards at the Specsavers Nielsen book awards. Joe's first book Lean in 15: The Shift Plan has become the bestselling diet book of all time and all his books have been non-fiction number one bestsellers. What a superb book that keeps you on track and motivated. Full of recipes that are easy to cook and don't take too much time to prepare. The workouts are easy enough to understand and follow.